Kente weaving is a traditional craft among the Ashanti people of Ghana. A kente cloths is sewn together from many narrow (about 10 centimetres (3.9 in) wide) kente stripes. 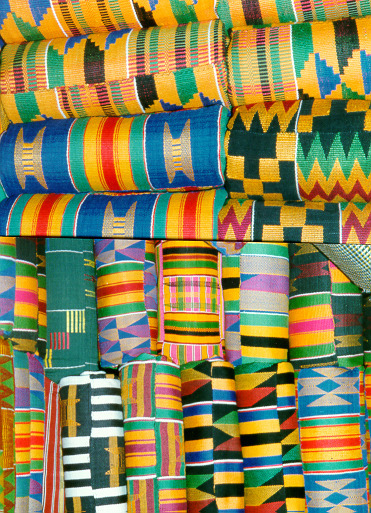 This image shows different patterns of typical Ashanti Kente stripes.